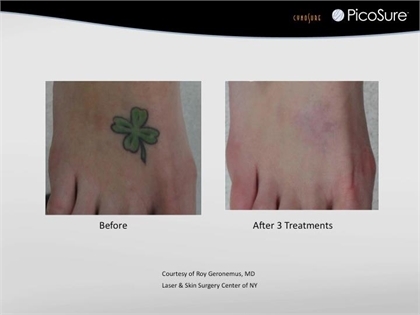 Dr. Lynne Haven is excited to be the first and only physician in Greenwich, CT and Fairfield County to offer PicoSureTM for laser tattoo removal, acne scarring, and pigmented lesion removal. The PicoSure is the latest advancement in laser technology. 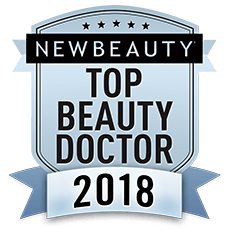 The laser is successful at rapidly removing almost all tattoos by delivering short bursts of energy to the skin in trillionths of a second, known as a picosecond. Having such a shorth pulse width means the energy of each laser pulse is applied to the tissue much more quickly. Tattoo ink is destroyed by "photomechanical" destruction, instead of chromophore targeting with typical laser removal. 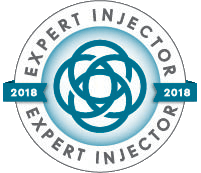 This makes PicoSure much more effective for the removal of all colors of tattoos, needing fewer treatments than other laser tattoo removal types. Typically, tattoos can be treated with the PicoSure in half the number of treatments of other lasers. 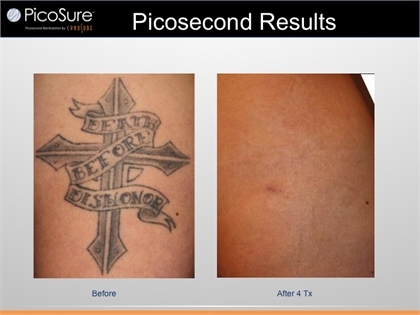 PicoSure's groundbreaking technologies can even remove difficult colors in tattoos which were resistant to other lasers. Please call to schedule a PicoSure consultation with Dr. Haven today. PicoSure is also successful in the treatment of fine lines and wrinkles around the eyes and mouth, as well as treating sun spots and age spots.